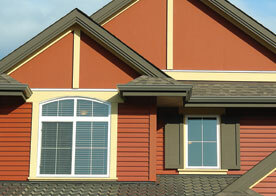 Cambridge Exteriors are the remodeling contractors of Medford that you want to work with. From our extensive knowledge to the steps that we take in order to make this an enjoyable experience, working with us makes it so that any big changes you make to your home are ones that you enjoy being a part of. With a team full of contractors that have gained experience and knowledge throughout their time in the industry, we are more than capable of taking on any remodeling job or home renovation project that gets handed to us. Learn more about what makes working with us such a great experience! When Cambridge Exteriors started as a business, our primary goal was to be one of the best roofing contractors in Medford. 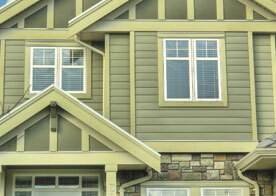 After more than 20 years in the business, Cambridge Exteriors has developed into a one-stop remodeling shop. From bathroom and kitchen remodeling to deck building and roof repairs, we are able to build you a home that you are absolutely wild about. The combination of passion and skills makes it so that your remodeling experience is one that you can’t help but get excited for. When you sit down with one of the remodeling contractors at Cambridge Exteriors we will go over all of the factors that are currently an issue with your layout or design. From there we can determine what methods we can use to counter these issues in the new layout. We will go over amenities and designs that will make the most of your space and provide you with a look that you love. After we’ve determined what this space will look like, you’ll be able to choose what materials you’d like to use. Each of the providers that we use is going to be a leading provider in their industry, so the efficiency and durability of the materials will never become a concern. When you aren’t aware of what your remodeling project is going to cost or how long it will take, it can be extremely difficult to commit to. This factor of the unknown is something that we like to eliminate here at Cambridge Exteriors. The way that we’re able to do this is by scheduling a consultation with you and one of our remodeling contractors to review the plans that you have created. From the size of the space that will be undergoing remodeling to the materials that you want for us to use, we can give you a realistic estimate as to what a project of that size will cost and how long it will take. Doing so leaves minimal room for guessing and surprises throughout the project so that you can enjoy and look forward to the renovations from start to finish. 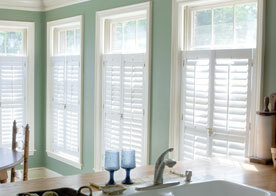 Get started on your renovation project today! Call our office and set up an appointment with the remodeling contractors in Medford, we can’t wait to get started!